The location is amazing and the host been super nice and helpful. Great location, and awesome room for that price comparing to my previous visit !! very friendly hosting will come again next time in Miami ! Everything was really amazing and Johnny was great! Personal attention from the manager, Johnny. He contacted me by text before arrival. He came over to see how things were. And he solved all minor issues. The apartment was beautiful and comfortable. Kitchen, bedrooms, bathrooms, living room were all large and well appointed. The location was great and the apartment very clean and comfortable. The apt. Looks and Feels great. We had a beautiful view and everything was clean and well mantained. Overall 5 stars . Everything was smooth from the check in to the check out process. The beds at the property were amazing. We overslept every morning. The host even brought us additional towels to make my family and I more comfortable. The apartment felt like a home away from home. We will be sure to visit this property on our next visit to Florida! Lock in a great price for Miami Ocean Suites – rated 8.8 by recent guests! 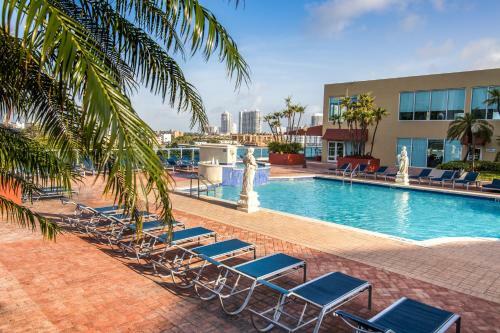 One of our top picks in Sunny Isles Beach.Set in Sunny Isles Beach, 12 mi from Miami, Miami Ocean Suites features a 464 m2 spa and fitness center, waterfront pool with a hot tub, and nature boardwalk. Miami Beach is 9.9 mi from the property. Free WiFi is provided. A private glass balcony is included in all master suites. All units include a dining area, breakfast bar area, and a seating area with a cable flat-screen TV. The kitchen is equipped with kitchenware and cookware. Extras include a washing machine, tumble dryer, and cleaning supplies. The community also offers a dog park, billiard room, and sports club as well as a barbecue area. A 24-hour manned gate house, video surveillance, and covered parking are included. A business center with a laptop lounge and mini market are on site as well. Fort Lauderdale is 13 mi from Miami Ocean Suites, while Hollywood is 5.6 mi away. 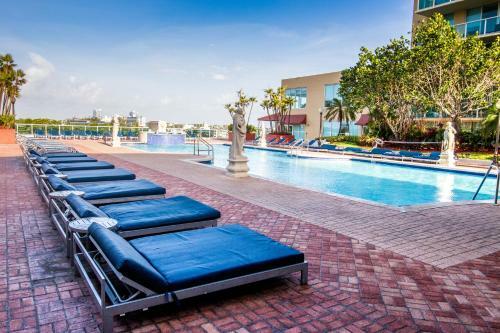 The nearest airport is Fort Lauderdale-Hollywood International Airport, 9.9 mi from the property. 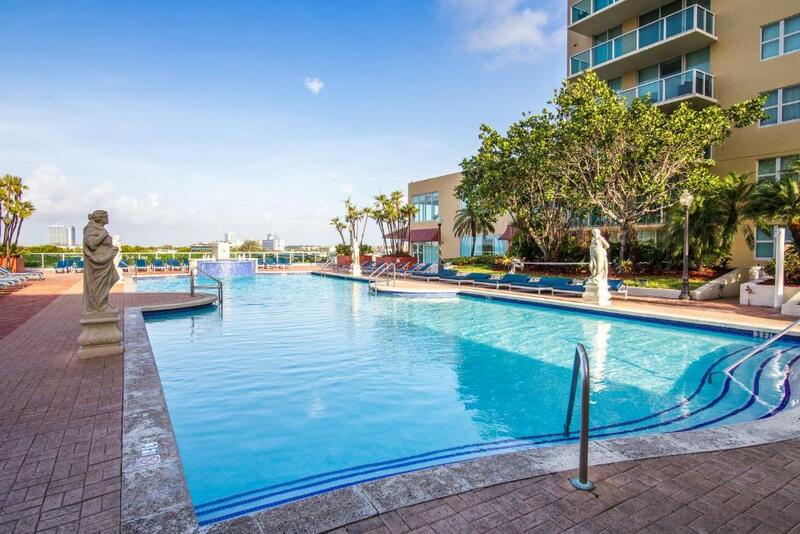 This property also has one of the top-rated locations in Sunny Isles Beach! Guests are happier about it compared to other properties in the area. When would you like to stay at Miami Ocean Suites? This apartment has a full kitchen, dining area, and living area. The master suites each have a private glass balcony. Extras include a flat-screen TV, towels, and bed linen. Cleaning supplies are provided. 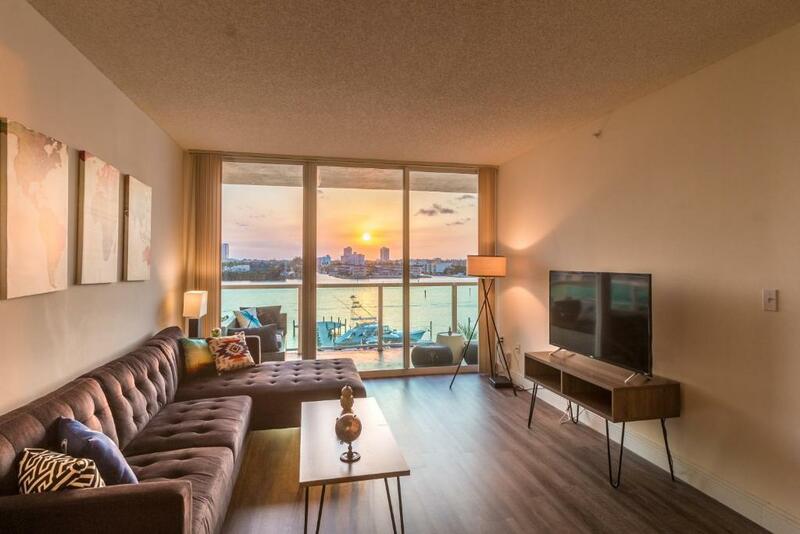 This two-bedroom apartment has a full kitchen, dining area, and living area. The master suites each have a private glass balcony. Extras include a flat-screen TV, towels, and bed linen. Cleaning supplies are provided. 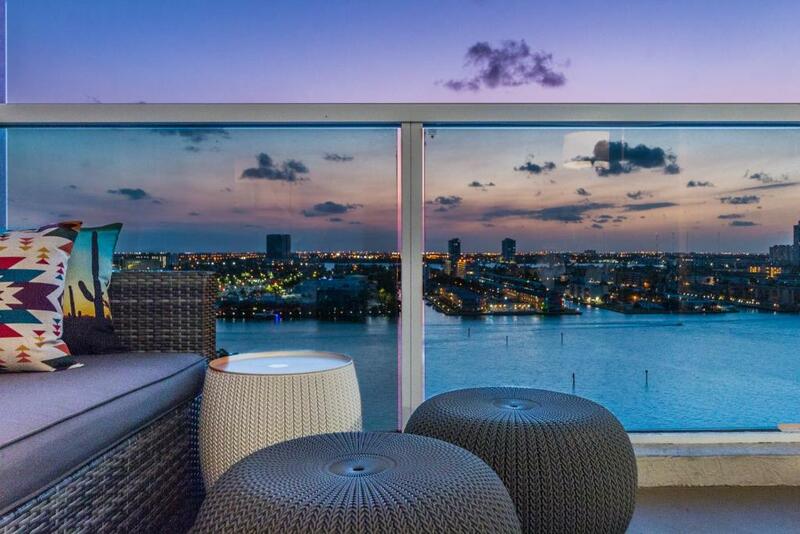 Welcome to a universe of beaches, sunset views, water views and city excitement. You will truly have it all in our spectacular setting. Over-the-top amenities and sleek apartment residences with large master suites, granite counters and full kitchens. 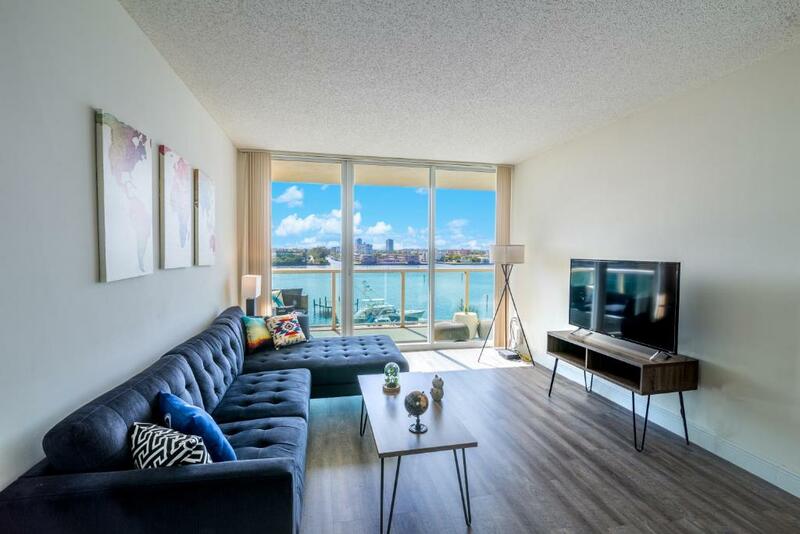 With an onsite marina, dry cleaner, convenience store, waterfront clubhouse and much more. Just steps from the Atlantic Ocean, this is living at its finest. 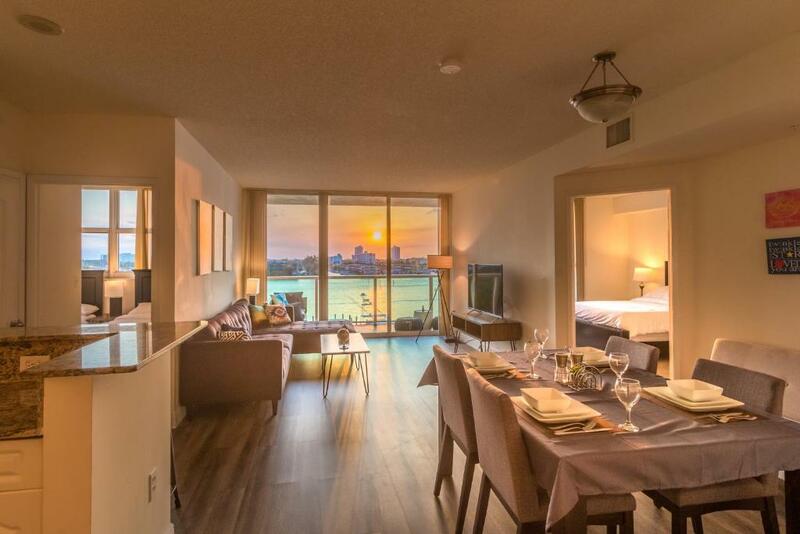 Apartment equipment: large capacity washer/dryer, oversized Roman tubs in master baths, large master suites with private glass balconies, sheets, towels, beach towels, beach chairs, free high speed internet, cable tv, air conditioning, cleaning supplies, hair dryer, iron with ironing board. Kitchen equipment: breakfast bar, toaster, coffee machine, kitchenware, whirlpool appliances, full operational kitchen with all the necessary equipment. Building amenities and facilities: BBQ pavilion with Wi-Fi, on-Site Car Wash, 24-hour manned gate house, roving patrol, emergency maintenance, valet parking, 24-hour video surveillance, waterfront pool and hot tub with sun decks, state-of-the-art 5,000 sq. ft. health and fitness center, tropical, waterfront nature. Please note: we are not an hotel! 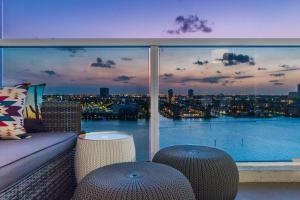 Miami Ocean Suites are vacation rental apartments within residential buildings. We do not provide 24/7 guests services. You will received check-in instructions a day or two before your arrival so please make sure you check your email!!! Our working hours are 10:00 am - 6:00 pm Monday to Friday. For after hours and weekends we can be reached by email or text massage for quick responses. 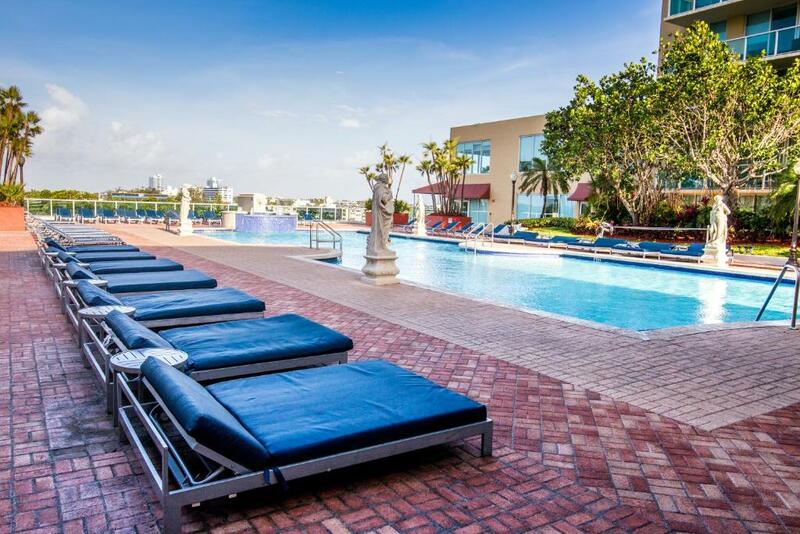 Our guests are welcome to use all the amenities in the building and enjoy them but the staff and the building office are not part of Miami Ocean Suites and they shouldn't be approach at anytime with any questions and/or concerns, they have no knowledge of your reservation! For any concerns and questions you can contact Miami Ocean Suites directly! The contact information will be provided once you complete your reservation. House Rules Miami Ocean Suites takes special requests – add in the next step! A USD150 damage deposit is required 7 days before arrival. This deposit will be fully refunded 7 days after check-out, as long as there isn't any damage to the property. Miami Ocean Suites accepts these cards and reserves the right to temporarily hold an amount prior to arrival. Please note the property's office hours are from 10:00 until 18:00. Please contact the property via email or phone with any additional concerns or questions. Please inform Miami Ocean Suites of your expected arrival time in advance. You can use the Special Requests box when booking, or contact the property directly using the contact details in your confirmation. A damage deposit of USD 150 is required. The host charges this 7 days before arrival. This will be collected by credit card. You should be reimbursed within 7 days of check-out. Your deposit will be refunded in full by credit card, subject to an inspection of the property. Lack of cleanliness and noise from the neighborhood. It is not a family apartment. Sunny Isles is a good place to stay. I do recommend. Wonderful balcony with a really nice view. Nice pool area and good gym.